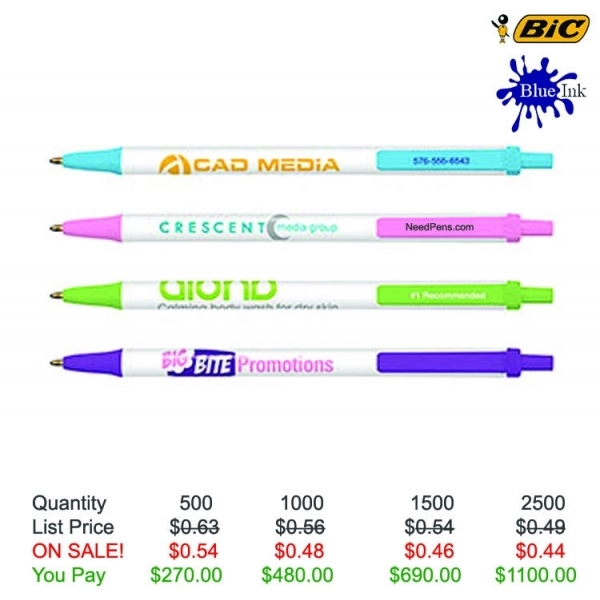 Your campaign is always the epitome of "fashion" when you hand out the BIC (R) Clic Stic (R) retractable pen in fashionable colors. 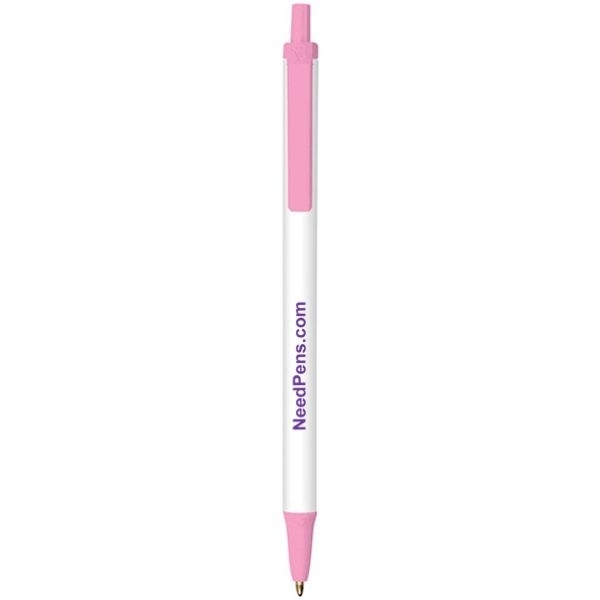 Assembled in the USA, this a la mode writing implement features a break-resistant pocket clip. The pen ink matches the trim color. 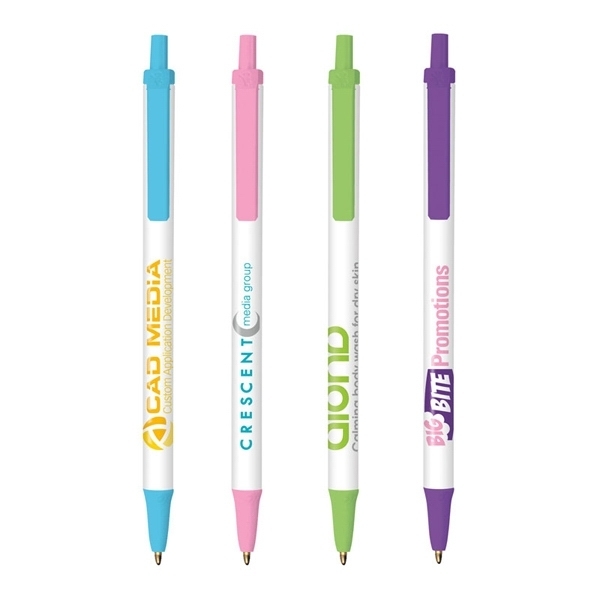 Your company's silkscreened imprint will build brand awareness every time the pen is used! A great giveaway for any venue, business or program, this piece will truly stand out at your next event! Product Features: Pen ink matches the trim color, break-resistant pocket clip.